The administrative and technical buildings at JFA Yachts are connected to an annex reserved for hosting our clients and their representatives (captains, project managers, assistants, secretaries) . 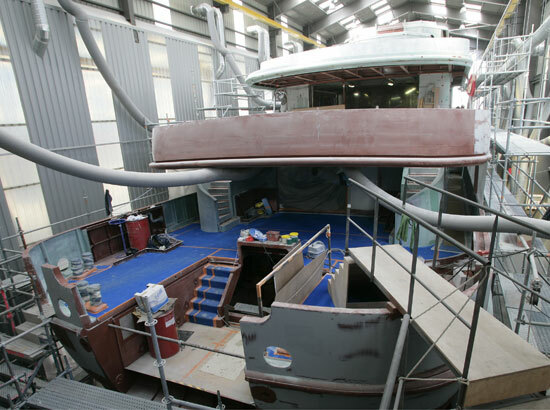 They have at their disposition their own offices, meeting room, and a place to store supplies. 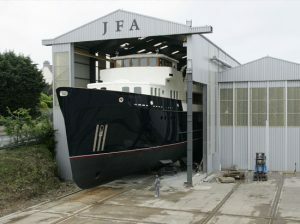 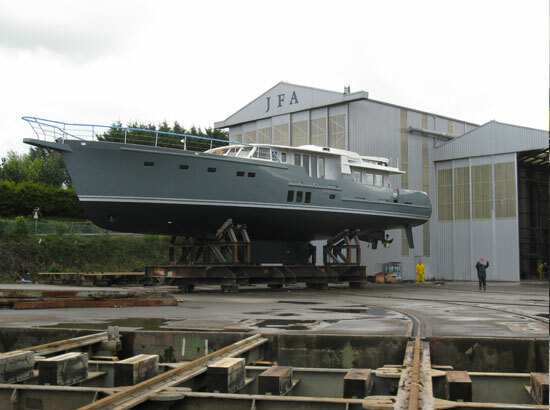 JFA Yachts infrastructure is both modern and efficient. 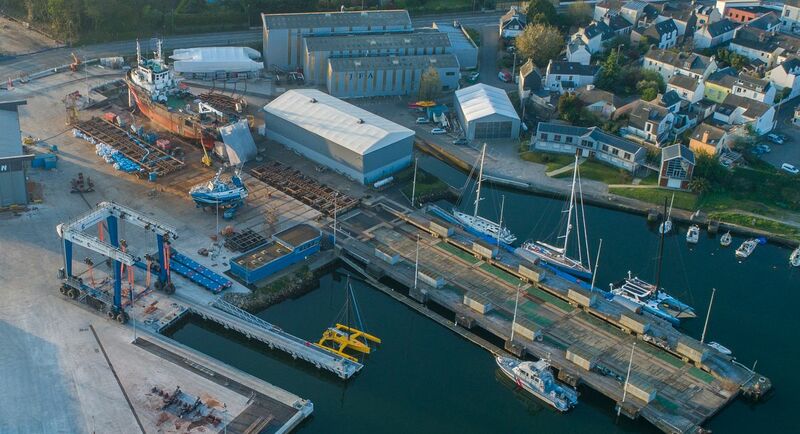 The shipyard offers services to meet the needs of the most demanding clientele: 5 construction halls can host motor yachts or sailing yachts up to 50 meters in length. 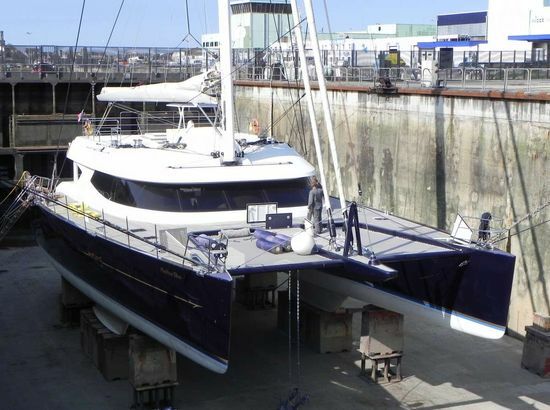 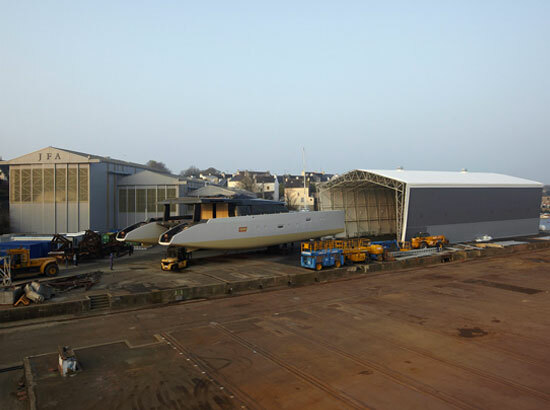 A hall adapted to catamarans can accommodate projects with a beam of up to 17 meters. 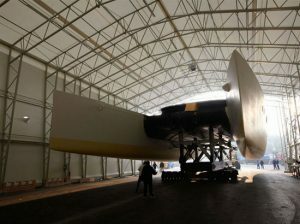 Each hangar is equipped with heating, compressed air and efficient air ventilation systems. 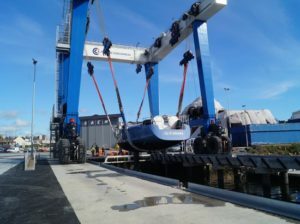 Plus, the shipyard has its own weighing mechanism. All these installations are connected directly to a syncro lift with a capacity to accommodate vessels 95 meters long, 17 meters beam and 2 000 tons in weight. Within the technical area a 400 ton travel lift also helps with manoeuvres. 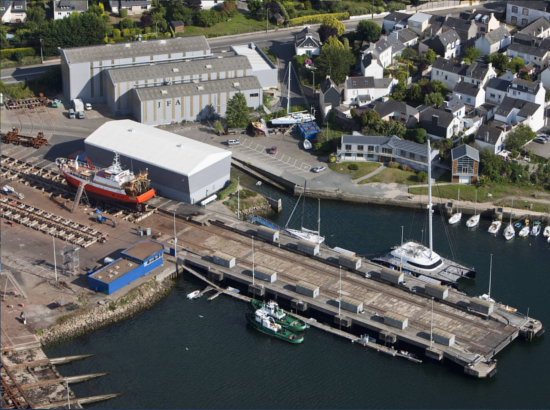 The nearby port of Concarneau is accessible to vessels up to 115 meters long drawing 6 meters depth. It has dock space for the largest of yachts. The port also has a dry dock 130 meters long by 27 meters wide.